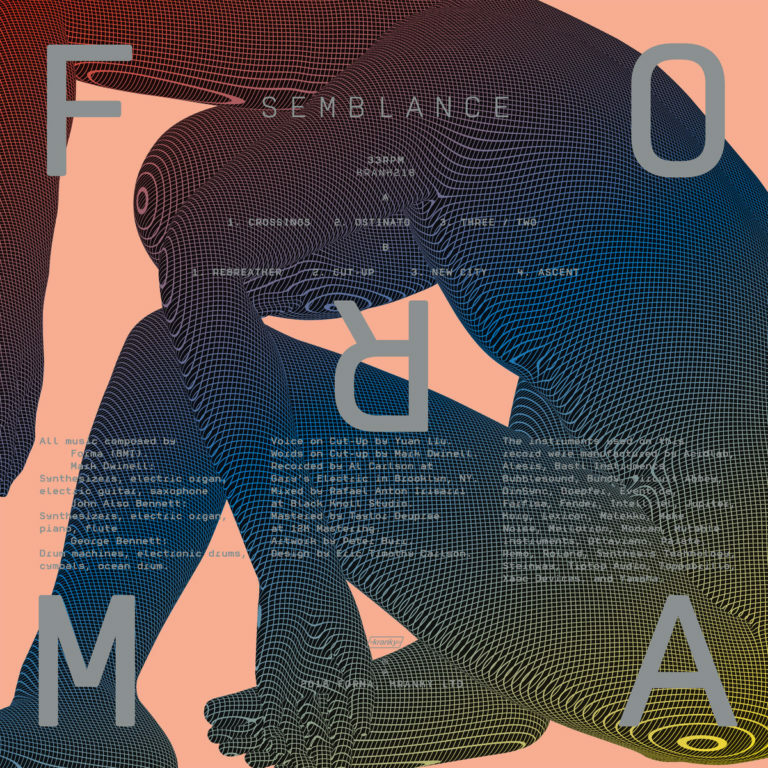 "A fluid form, tangled inside the squirming maw of high-speed digital culture"
Forma's looming Semblance LP isn't just meant to "broaden the idea of what an electronic music ensemble can sound like." Thanks to recurring collaborator Peter Burr, it also looks happy out there in left field. "The [album's] design was born from conversations with my friend and collaborator Eric Timothy Carlson," explains Burr. "We were interested in creating a moving-image cover. That is, we were thinking about how blurry the borders between still images and animated images feel lately, especially within the context of prevalent digital music platforms. Consequently we developed a design that exists in a fluid form, tangled inside one of the many fissures emerging in the squirming maw of high-speed digital culture."